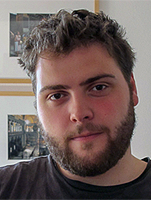 Moritz Hinsch has studied History and Classical Archaeology at the Humboldt-Universität zu Berlin and is a doctoral fellow in the research group (B-3) Ökonomie/Oikonomia. As member of this group, he is writing a doctoral thesis on “Oikonomia and Domestic Economy in Classical Greece” in the research group (B-3-5) Aristotele’s Oikonomika. In his thesis he attempts to develop a theoretical model on domestic economy for the Classical period and specifically analyses the normative concepts of household management (oikonomia), which were written since the end of the fifth century B.C.E. Moritz Hinsch has also participated in the PhD program “Ancient Languages and Texts” (ALT) at the Berlin Graduate School of Ancient Studies (BerGSAS). Das Gute und das Notwendige. Die Ordnung des öffentlichen Raums in literarischen Quellen des 4. Jh. v. Chr.